G Suite/O365 Credentials for Devices, Apps, WiFi? Home » Blog » G Suite/O365 Credentials for Devices, Apps, WiFi? Would your users like to have one set of credentials for their laptops, servers, legacy and cloud apps, and more? If those credentials were the same as their G Suite or Office 365 ones, wouldn’t that be ideal? Ever since Google and Microsoft, respectively, introduced their hosted email and productivity platforms, IT admins have been searching for ways to leverage that identity to be used elsewhere. The thought process makes a lot of sense. As an IT organization, you have chosen an important cloud platform that is likely being used throughout your organization. Historically, those credentials would be leveraged from within an Active Directory instance. However, the thought process changes as IT organizations make the leap to the cloud. Why even have an Active Directory instance if you are moving your email, file server, and productivity platform to the cloud? Unfortunately, you can’t really federate G Suite or Office 365 credentials to systems, applications, WiFi, and other IT resources without a third-party directory service. G Suite’s identity management services are really focused on Google Apps and a select few web applications. 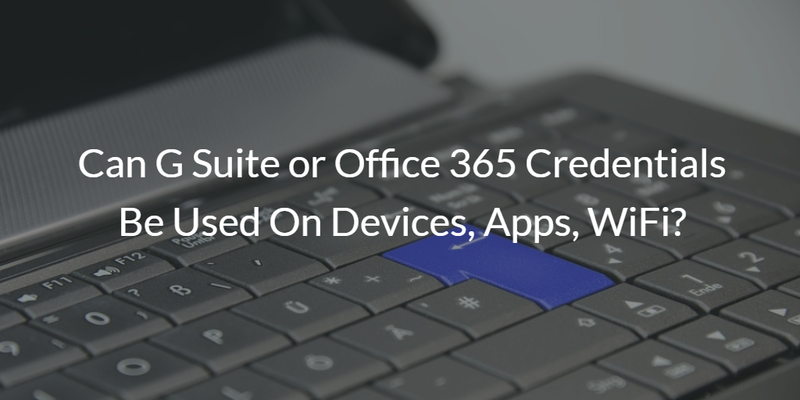 Office 365 credentials, which are usually housed in Azure Active Directory®, are similarly just for Azure, Office 365, and web applications. The good news is that a new category of cloud identity management platforms has emerged to solve this problem. 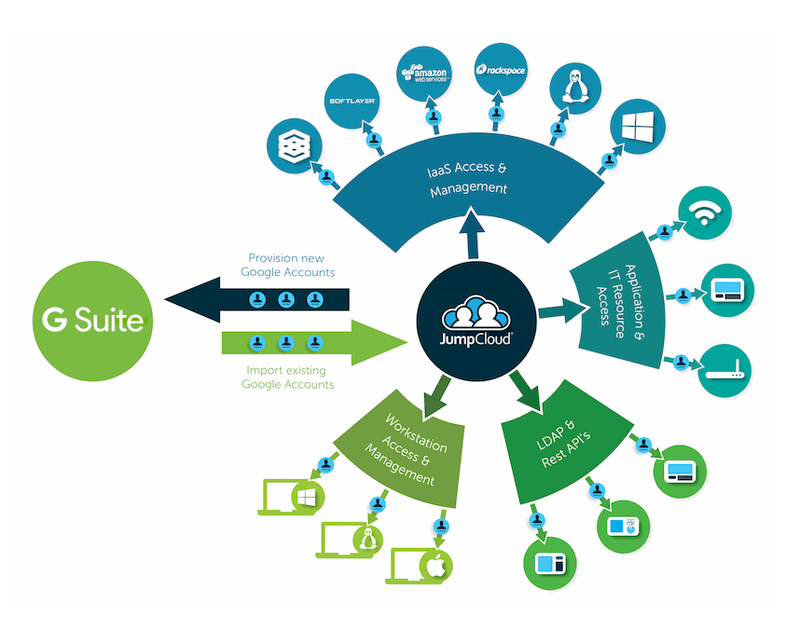 JumpCloud’s Directory-as-a-Service® can provision and sync your G Suite and/or Office 365 credentials across virtually all of your user’s IT resources, including Mac, Linux, and Windows systems, AWS cloud servers (or other provider’s cloud servers), on-prem, legacy applications, web applications, WiFi networks, and more. Your users can leverage their G Suite or O365 credentials across systems, applications, and networks. With JumpCloud’s tight integration with G Suite and O365, you can skip the on-prem directory path (i.e. you have your replacement to Active Directory) and move your IT infrastructure completely to the cloud. That’s a huge win. IT organizations no longer need to have one foot in the cloud and one foot on-prem. Consequently, eliminating the pain of straddling both worlds comes as a huge relief. Want to learn more about how to have True Single Sign-On™ using G Suite or O365 identities? Drop us a note. Also, sign up for a free account and give our IDaaS platform a try. Your first 10 users are free forever. Finally, please let us know how it goes or if we can help.